Help get Kidsafe Victoria to Monash Children’s Hospital! Do you have a little superhero or a tiny tot speedster? We are sure that there is nothing you wouldn’t give to protect your children from serious injury. 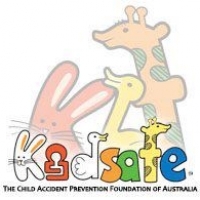 At Kidsafe Victoria, we are always working hard to support you in keeping your children safe. Our current office isn’t a space that allows us to support you in person. In 2017 we are moving to the Monash Children’s hospital! Our new Community Support Centre will provide parents and carers with a one stop shop to access resources, information and advice on a range of child injury issues. It will also be the headquarters for Kidsafe Victoria. We already have the shell of the building, the carpet, the walls, the lights, painting and the electricals. Caulfield Krivanek Architecture have also donated their expertise so we have a world class design for the centre. We are more than half way there – YES, THIS IS AMAZING! 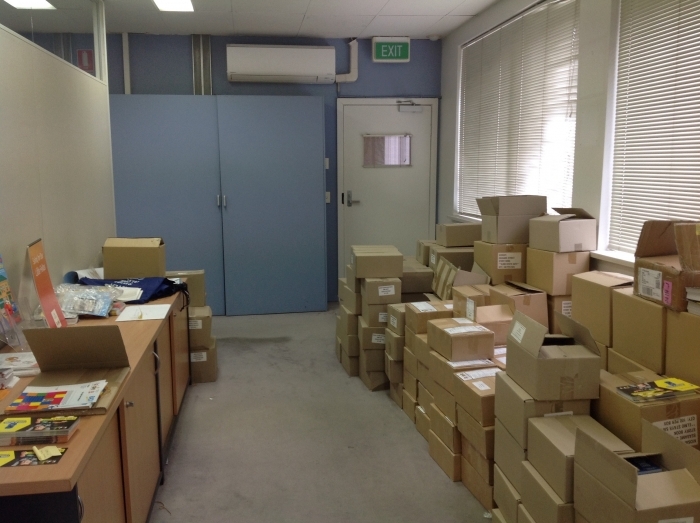 We have the thousands of resources to stock the centre and the amazing staff to man it. We have almost everything, except…the money to finish off the fit out! If 300 families gave $50, we would reach our goal in no time at all! The beauty of this donation is that you can see the amazing centre that you helped to build in February 2017! Then there are the more boring but necessary items such as uniforms and office supplies – including office chairs so that we have somewhere to sit and telephones so that we can continue to answer all of your child safety questions! Do you know what the biggest killer of Australian children is? It’s not asthma or infectious diseases. The biggest killer of Australian children is injuries. Every year, 29 children are killed and a further 86,000 are hospitalised due to unintentional injuries- and this is just in Victoria. Some of the major causes of death include drowning, falls and transport injuries. Delivered 200 Home Safety Presentations to over 2,000 new parents and carers. Answered 700+ child safety questions through our email and phone support services. Distributed over 320,000 child safety resources to new parents and carers. Developed Find-A-Fitter, an online database that helps parents and carers to easily find a professional child restraint fitter in their local area. Delivered the third annual ‘Closing the Gate on Backyard Pool Drowning’ campaign. Raised awareness of the dangers of hot cars with Matt Moran and ‘The Unconventional Oven’ . Once the new Community Support Centre is up and running, our hard working staff will be able to continue working towards delivering services and campaigns like these, plus many more! Please donate today and help us build a safer world for kids. In 2017, Kidsafe Victoria is opening our very first Community Support Centre at Monash Children's Hospital- and we need some safety superstars to help us get there! We will send you some super fun, super safe colouring sheets! We will email you a certificate to let you know that you are a safety star! We will send you a pack of super safety resources to help keep your kids safe, including a home safety checklist, child restraint height chart, an emergency numbers magnet for the fridge and an Elmo Stays Safe storybook! A THANK YOU will be posted on Facebook to you or your organisation. An invite to the Kidsafe Community Support Centre launch. Mingle with all the cool kids in February for the grand opening (well actually… us, but we’re OK!) and we'll acknowledge your support at the launch. To show everyone how mega sensational you are, we will put your name (or organisation’s name) on a plaque/sign in the Kidsafe Community Support Centre and put up a Facebook post thanking you for your support. To adequately show off your superhero status this one needs to be BIG! We can’t quite shine your logo into the sky like Batman’s Bat-signal, but we think this comes close! To show our appreciation, the Kidsafe Vic office team will dress up in superhero costumes and run down Smith Street at lunchtime! You or your staff are welcome to join us and of course we will capture the bizarre spectacle on video so the whole world can enjoy… (yep, that’s how much we love all of you!). We will also put your name (or organisation’s name) on a plaque/sign in the Kidsafe Community Support Centre and acknowledge your name in our communications channels. * $8,939 in offline donations included in total.